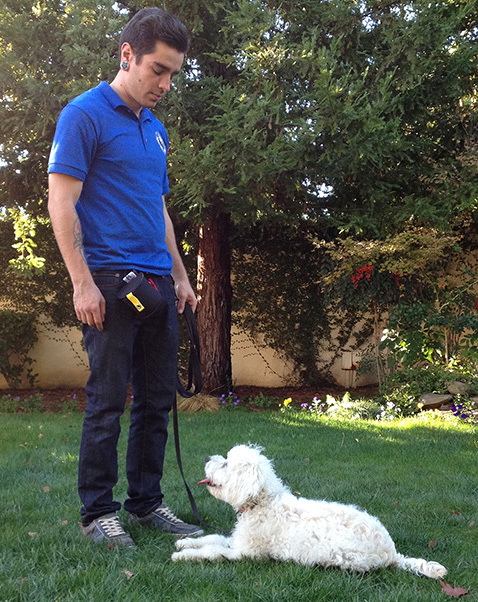 You’ve acquired a four-legged friend and want to give it obedience training – we’re glad to help! Puppy obedience training is a very important process! Training is based on trust between pet and «teacher», and our canine specialist will help you not only to teach your puppy various commands, but also adapt it to its environment. We approach your pet with love and care, and consider all its individual characteristics. The period starting at 2 months old is a favorable time to train your puppy. During that period, it’s nervous system is being formed and you can develop conditioned reflexes in your puppy quite quickly. 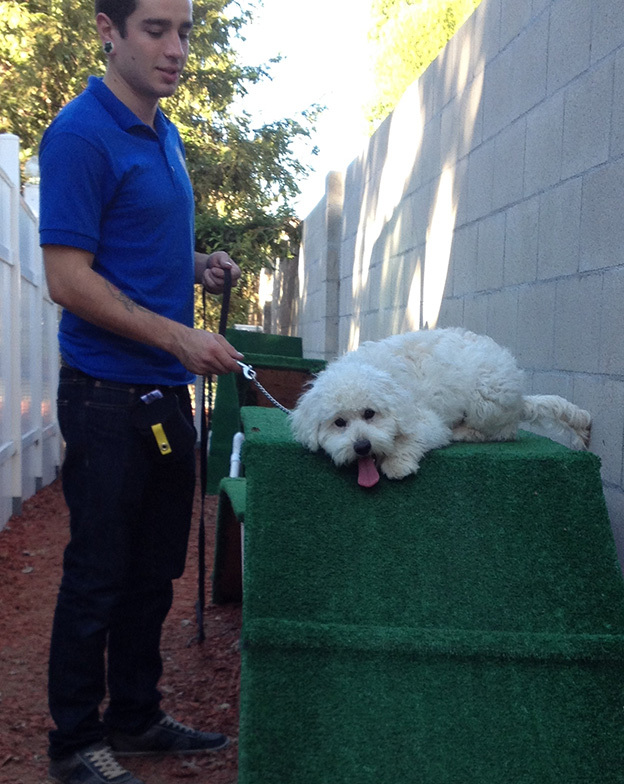 Therefore, puppy obedience training is easy and fun in that period. An individual approach is important in puppy obedience training. To establish this, it is necessary to conduct tests prior to training to determine your puppy’s type of nervous system, and also check its dominant reactions. 1. Play reaction – your puppy loves to play and run after a ball. 2. Orientation reaction – your puppy studies its environment and walks around with curiosity. 3. Food reaction – your puppy loves to get food. It is prepared to earn food by performing various commands. After determining the dominant reaction, we determine your pet’s resistance to stress and reaction to external stimuli, such as: wind, loud sounds, etc. After determining your pet’s type of central nervous system, we will know which method to use for its training, as well as how long puppy obedience training will last. This contact is a natural quality of dogs because they live in packs. In this case, the puppy’s pack is its owner and his family. If your puppy doesn’t react when one member of the family goes somewhere, this is a signal of lack of contact, which results in disobedience. After this test, we understand that it is necessary to restore and correct this quality. A puppy that has limited interaction with dogs or humans will begin to show distrust, aggression or fear toward them. After these tests, we see the full picture of your four-legged friend and its reactions. Next, we begin puppy obedience training, using an individual approach to address your puppy’s unique characteristics, and please the puppy and owner. To adapt and develop your puppy, so that it feels adequate and confident, we also develop its natural hunting instincts during the obedience training. Command “Sit”. We begin puppy obedience training with the command “sit”, which fixes your four-legged friend’s position and develops its patience. This important command needs to be well developed. It can help avoid an accident, for example, when the puppy is following a cat or squirrel or enthusiastically running somewhere. Command “Down”. This command involves keeping your pet in a lying position in any situation. If you just want to pet or brush your pet, but it fidgets about and can’t stay in one position, you can use this command. Command “Stand”. This command can help you control your puppy at a distance. You can walk it without a leash once you have clear confidence in its performance of this command. Puppy obedience training is very important in this command because it lets you stop your puppy on the street, at a crosswalk, or when it wants to run to other dogs. It also helps you when washing and grooming your puppy. Command “Heel”. This command’s role in puppy obedience training is that it has your puppy walk close to you, on the left side and in no situation fall behind or run ahead. If you stop without giving additional commands your puppy should sit, and begin moving with you. 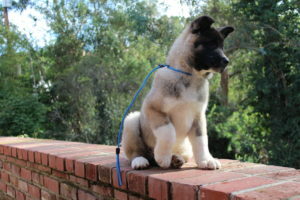 In puppy obedience training, we use a leash and toy for encouragement to teach this command. As a result of its knowledge of this command, you pet’s level of safety will rise. It will walk with you, not get distracted by surrounding people and dogs, including when crossing the street and at other times. This command is also useful in that with it, your pet will no longer pull you behind itself during walks. Command “Place”. This command is one of the most important commands for you and your pet. For example, it can help you avoid your pet’s presence in undesirable places, for instance in the kitchen when you are cooking. Or, you can use it to send your puppy to its place when you have guests and your puppy reacts to them and interferes. This command is also useful in shopping – if you decide to leave your puppy without a collar, it will not move from its place and will wait for you. Upon the command “place”, your four-legged friend should sit or lay in the directed place without running away or making noise. It should be confident that the owner will return and reward its patience. Command “Come”. This command is very useful for a dog owner! You four-legged friend will joyfully run to you and sit nearby. When training a puppy this command it is important to know its temperament, and whether it likes toys or treats better. 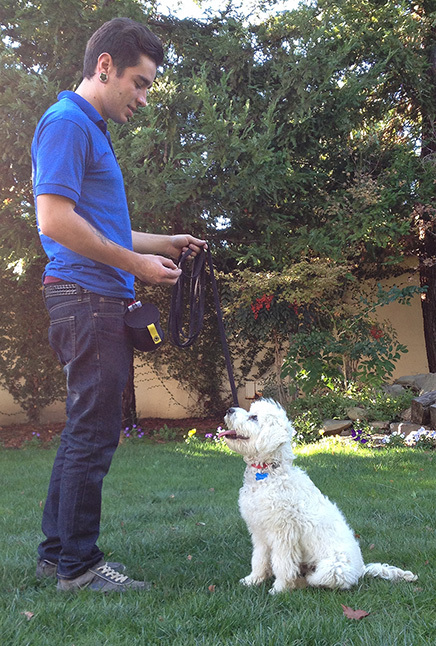 Knowledge of this command will significantly help you when walking your four-legged friend. If it runs to other dogs in a dog park or to a group of people, you won’t have to worry and will be confident that it will return on your use of the command “come”! will make your life easier and happier! 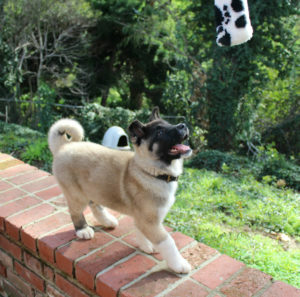 We will teach your puppy to perform various commands! It will be the pride of your family, and your friends will rave about your pet!